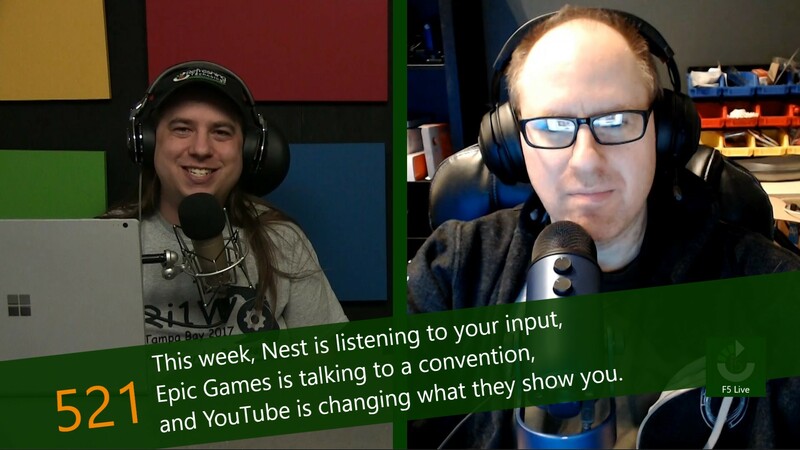 This week, Nest is listening to your input, Epic Games is talking to a convention, and YouTube is changing what they show you. There is little doubt that Nest brought about the modern smarthome. Sure, there were companies making products in this category for decades, but it wasn't until the Nest thermostat that the general consumer was truly made aware of the idea. However, between the release of the first Nest product and today, a lot of things have changed. Those changes began when the company was purchased by Google for $3.2 billion in 2014. As Google reorganized time and again, the brand got moved around, first out of Google and then back inside. For all of 2018, Fortnite was a force that could not be stopped. Not only gamers but really everyone heard of the game on a regular basis. Whenever something becomes such an iconic part of the culture, it is inevitable that people will try to make a dollar off of the trend. In the case of Fortnite , we saw the normal artwork, clothing, plushies, and collectibles, but this game wasn't quite the same as other trends. Over the past few years, more internet users have begun using VPNs (virtual private networks) to protect their browsing history from prying eyes. With companies like Facebook and Google, not to mention ISPs themselves, expanding their snooping methods, it is no surprise that users are looking for ways to protect their privacy. Unfortunately, not everything is always as it seems when it comes to the internet. For content creators, there is nothing worse than the strike system. Most users will receive one strike in their lifetime, often for things that are out of their control. That first strike will disable live streaming capabilities, and can even turn off monetization. The company has changed its policies on strikes, making the first rule violation a warning rather than a strike. This means that the majority of users will never receive an actual punishment anymore, making it far easier to build an audience. This applies to almost all rules but does not adjust YouTube's active content censorship.